Loratadine (lore-at-ad-een) is a medicine which is used in allergic rhinitis and urticaria. The information in this Medicine Guide for Loratadine varies according to the condition being treated and the particular preparation used. 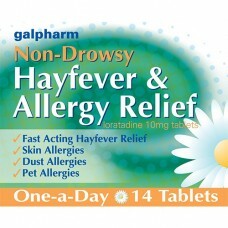 Loratadine is an antihistamine. It blocks the effects of a chemical which causes symptoms of allergy such as itching. It is used to treat allergic rhinitis (hayfever) or urticaria (an itchy lumpy rash) which has persisted for a long time. Loratadine is not suitable for everyone and some people should never use it. Other people should only use it with special care. It is important that the person prescribing this medicine knows your full medical history. Furthermore the prescriber may only prescribe this medicine with special care or may not prescribe it at all for a child who weighs less than 30 kg or who is under the age of two years. Over time it is possible that Loratadine can become unsuitable for some people, or they may become unsuitable for it. If at any time it appears that Loratadine has become unsuitable, it is important that the prescriber is contacted immediately. You should discuss whether there are any other medicines which you could take during pregnancy which would treat your condition. If you are taking Loratadine and one of the above types of medicines, make sure your prescriber knows about it. If you are planning to take or are already taking any complementary preparations and vitamins you should ask your prescriber whether there are any known interactions with Loratadine.